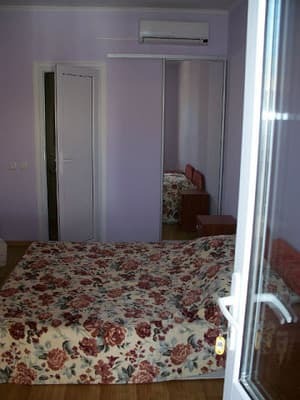 The boarding house "Rich" is located in the eastern part of the city of Sudak in the Achiklar area. At a distance of 500 m from the boarding house there is an embankment and the Sudak water park. The nearest store is at a distance of 5 m. On the territory of the boarding house there are trestles, where you can relax on a hot sunny afternoon. At the request of guests, a brazier and hookah (included in the price of the stay) are provided. Comfortable rooms of the boarding house are equipped with comfortable modern furniture, TVs, refrigerators and air conditioning. Free Wi-Fi is also available. PRICES MAY CHANGE, IT IS REQUIRED TO RECEIVE INFORMATION FROM THE OPERATOR. 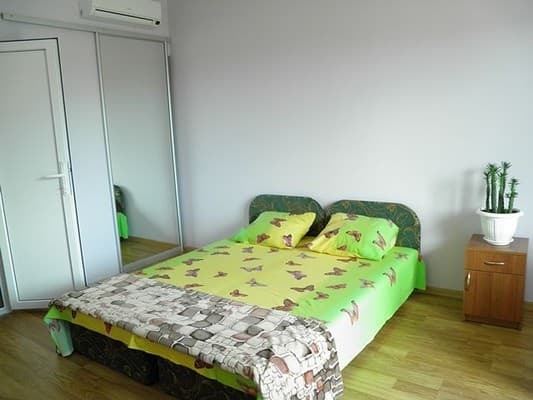 Description of the room: The room has everything you need for a comfortable stay: double or semi-double beds, TV, refrigerator, air conditioning, bathroom. 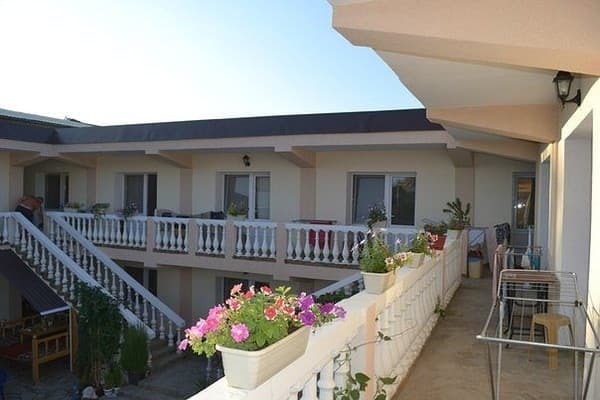 Pension "Rich" is located in the eastern part of the city of Sudak in the area of ​​Achiklar, the area of ​​the Aquapark. Marshrutki (and buses) leave from the bus station near the railway station of Simferopol (landmark restaurant "MacDonalds" right next to the entrance there are cash desks Autostation), depart in 10-15 minutes, travel time 1.40 - 2.20 hours. From Feodosia to Sudak (55 km).